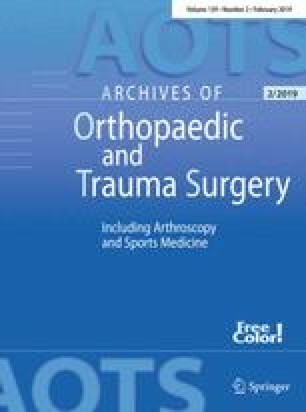 The first purpose of this study was to evaluate the saddle prosthesis in patients with periacetabular tumors in terms of the functional results obtained after several postoperative intervals. The second purpose was to evaluate the complications and how they might be prevented in the future. Functional results according to the MSTS functional rating system were evaluated at several postoperative intervals in 15 patients treated with internal hemipelvectomy and reconstruction with the saddle prosthesis because of periacetabular primary (n = 9) or secondary (n = 6) malignancies. All complications were evaluated. Three months postoperatively, 7/9 patients with a primary tumor and 2/4 patients with a secondary tumor were able to walk outside without pain. Median functional results 3 and 6 months postoperatively were 40% and 50%, respectively. Deep infection occurred in 4 patients and fracture of the iliac remnant in 2. Heterotopic ossifications along the interpositional component were seen in 5 patients, but they did not negatively influence the functional outcome. Three (relative) contraindications to reconstruction with the saddle prosthesis could be ascertained: osteoporosis, extended involvement of the iliac wing by tumor, and insufficient soft-tissue quality after previous procedures. (Short-term) functional results after reconstruction with the saddle prosthesis are satisfactory if the above-mentioned contraindications are taken into consideration.